Across our organisation, we are all driven by a shared purpose: to create a healthier world where more people can live more positive lives. 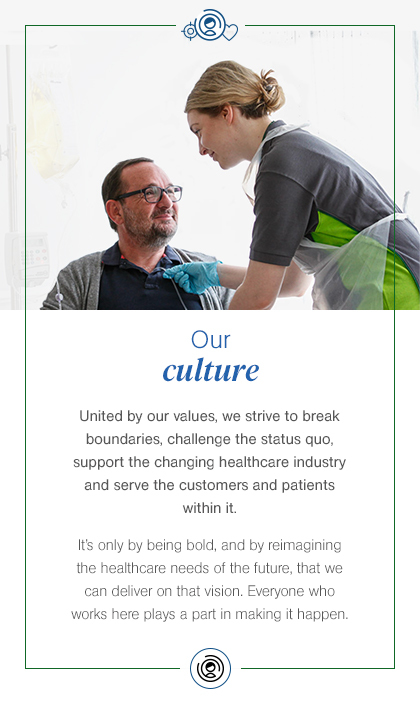 Our values guide the way and help us ensure we always do the right thing, by acting with integrity, putting the customer first, demonstrating accountability, being respectful and delivering excellence. We believe in creating an organisation where all colleagues feel informed and involved in what’s going on around the business. Everyone is invited to share their ideas through our colleague forum, which we call the Big Conversation. We also run an employee opinion survey every year, where people can have their say on how to make McKesson an even better place to work. Dementia is a significant concern for our patients and our colleagues. The fact that it affects thousands of people in the UK, the vast majority of them over the age of 65, means that our pharmacy teams will interact with dementia patients and their carers every single day.